YouTube, a subsidiary of Google, is the single most popular video collection on the internet with over a hundred hour of video being uploaded every minute. It was founded by Chad Hurley, Steve Chen, and Jawed Karim, who were all early employees of PayPal. But despite its international popularity most users are unaware of its full potential. This is where your rest of the day is spent after Facebook and twitter. Here are bunch of must know shortcuts, features on YouTube to help you get the most out your video experience. Introduced under the popular title Leanback, it’s simple – TV on the internet featuring not only premium content from studios and networks but also homemade content from across the globe. You can watch YouTube on your TV without searching. It really feels like you are channel surfing — and it’s fast. The feature uses your profile and viewership data to create an endless stream of content tailored to your tastes. It is created keeping in mind user comfort and visual aid. The elegant and user friendly design can be accessed on the internet TV’s tablets and other mobile devices to provide seamless access to YouTube content. YouTubeTV allows you to “leanback” and access content recommended for you or browse through various categories such as Comedy, Politics or simply try the Trends. The feature is best viewed on larger screens with a valid YouTube profile. The intention is to position YouTubeTV as a reasonable alternative to normal television viewing. It is really hard to find good music with this overflowing internet storage that’s why for those of us who love using YouTube as a music source, Disco offers a neat way to make automatic playlists for our favorite bands, artists and performers. Just enter the name, click “Disco!” and YouTube will take you to a top 100 playlist of songs. They will crank up your mood while you do rest of your computer stuff. Yeah, you have read it right. I am going to teach you how to search. I know most of you are doing this on internet even before learning how to ride a bicycle. YouTube is big, really big. With over six billion hours of content streaming every month, it’s hard to sometimes find what you want. Using YouTube’s search engine can only get you so far and it helps to know a few tricks that can make the process more effective. Add the “allintitle:” tag before entering any search term. So if you’re looking for the Google Nexus videos, simply input “allintitle: Google Nexus”. If you want to exclude specific terms from the results use the excluding tag. E.g. if you want to get all Nexus videos without Samsung in the title input “allintitle: Nexus -Samsung”. If you’re looking for specific channel then all you need to add the word “channel” next to the keyword. E.g. “Nexus channel” for all Nexus related channels. 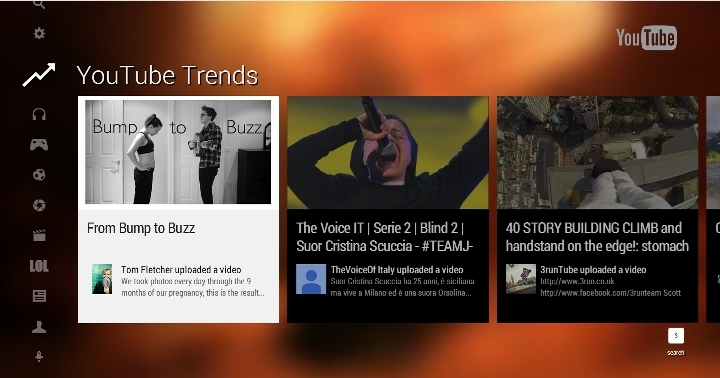 To find new or recently released videos add the words “today”, “this week”, “this month” after the keyword. For pulling up videos in high definition add “HD” to your keyword. You can also directly search for playlists. E.g. “Coldplay playlist”. Full length videos by adding “long”. And if you wish you can combine variations of these tags to search term. E.g. “Coldplay, long, HD, this week”. The Home/End button to jump to the start and end of the video, respectively. The number buttons of the keyboard take you to the 10 percent point of the video i.e. pushing 5 takes you to the 50 percent point and 8 takes to the 80 percent point. Quick tip: One third party app to watch videos with friends simultaneously in synched, try “Sync-Video” (www.sync-video.com). You can move your user data folders (Documents, Pictures, Music, Videos and Downloads) by right-clicking the folder and changing the destination path under ‘Location’ tab in the Properties menu. 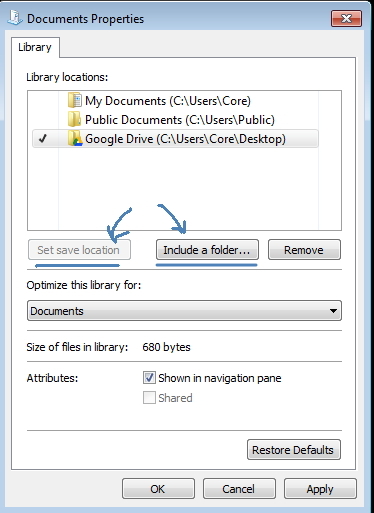 Windows 7 users need to go to the Explorer panel to the left, Expend the collapsible Library folder, and right-click the “My Documents” or similar folder to get the properties menu. Click on “Include a Folder”, Browse to Google Drive Sync Folder. Select “Set Save location”. 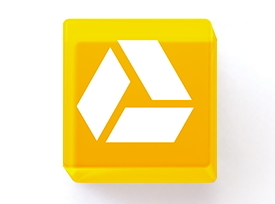 Change the location of one of these folders to your Google drive folder to synchronize it between computers. Do this on each computer you use and you’ll have the same files in your Documents, Downloads, and all other folders on all your computers. Note: If the amount of data you have exceeds the storage capacity of Google Drive (that is, if the data if more than 5 GB), then the above method will fail to completely transfer all the files. Once the storage limit of Google Drive is reached, you will unable to add any more folders/files to it, and in this case, to your user data folders as well.